Within our Placentia hotel, we offer a fully-licensed restaurant, pub and pizzeria. The hotel caters to dinner parties, birthdays, anniversaries, Christmas parties, special occasions, business meetings and outside catering functions. The restaurant offers home-style cooking and one of the house specialties is seafood. 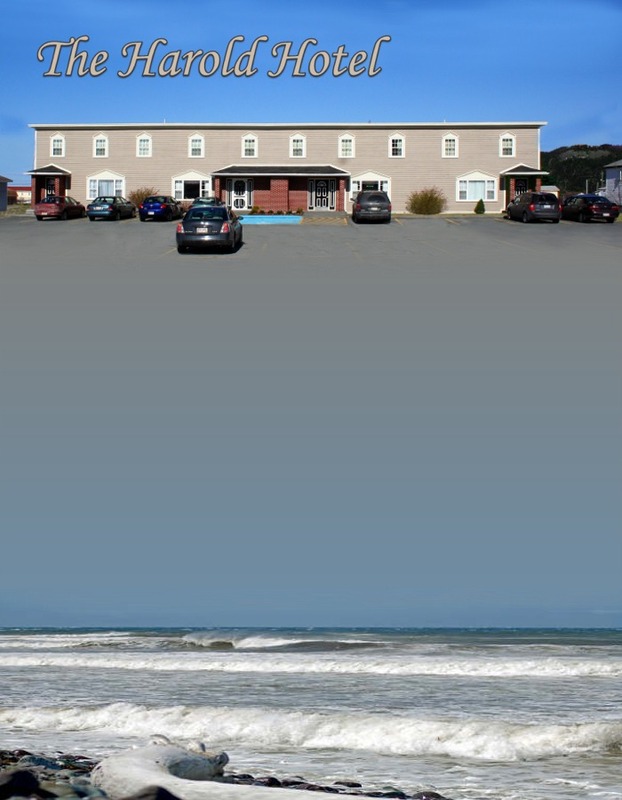 Our Placentia hotel features: First class dining facilities featuring a full breakfast menu from 8am - 11am ~ Our fully licensed dining room can accommodate 80 happy patrons. We're open from 7am to 9:45pm daily, but our delicious pizza is served until 12 midnight ~ ice machine ~ fax, photocopy services. Our on-site pub features all of your favorite libations and of course a pool table, juke box, cable TV and VLT machines. Cheers! WE ARE COMMITTED TO ENSURING YOUR STAY IN PLACENTIA AT THE HAROLD HOTEL IS THE BEST IT CAN BE. Our 18 guest rooms feature wireless internet access, cable TV, telephone access, wake-up calls, hair dryers, AM/FM clock radios, daily maid service between 8am and 2pm and some wheelchair accessibility.